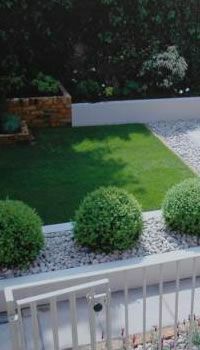 CMA Garden Design, landscapers, landscape designers, landscape gardener, based in Farnborough, Hampshire. Do you want a new garden, with a design that meets your desires, with high quality construction and plants you adore? 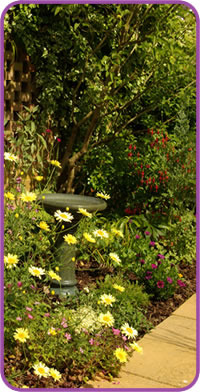 Do you want help and or advice to improve or maintain your garden? We all love our gardens and they come in all shapes and sizes. When we get our garden just right, they give us so much pleasure and pride. What’s more, our gardens can change and adapt to our needs over time. A good design can turn an ordinary garden into the one you really want. That’s our one goal at CMA Garden Design – your gardening pleasure. Whether you want a garden that is your main hobby, or you just want an occasional potter about or one that takes very little time to maintain, we can give you exactly what you want. 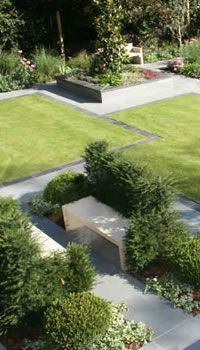 Chris Andrews is our RHS (Royal Horticulture Society) qualified (2004) and was awarded the Diploma in Garden Design through Merrist Wood College in Guildford (2003). Whether you want to entertain, sit and admire the flowers, create a haven for wildlife or go to town on sowing and growing, our garden design, construction and maintenance services are there to help you make the most of your garden. If you are thinking of re-designing your garden, download our free report on the most common mistakes people make in garden design. Call us today on 01252 664029 for an informal discussion or use our enquiry form.